An outdoor adventure program for people with disabilities. This program includes the mobility impaired hunting program, which is the benchmark for mobility-impaired hunts throughout the United States, and a variety of other outdoor adventure trips. FDOA President, David Jones, has been working with an appointed workgroup and the FWC Commissioners and staff to make several changes and improvements to the Mobility Impaired (MI) hunt program. After many months of research, discussions, debates, many meetings of the workgroup and after taking public input around the state, the Commission made some major changes in the application process and in the hunt process. The two major changes are (1) making all permits non-transferable and (2) allowing the permitted hunter to have a guest permit to allow an option to invite someone to accompany and participate in the hunt. This will enable a permit holder to have a hunting companion if needed or so desired. The Holton Creek hunts will not, however, have these changes for this season due to some administrative complications and timing issues. Another change to improve the system is to add a second permit opportunity in the second phase drawing. After the first phase random drawing, everyone is able to apply for a second permit, again by random drawing. Third phase will remain on a first come basis, but an individual can only be issued up to five MI permits. Goto http://www.myfwc.com/License/Hunt_QuotaDeadlines.htm and click on limited entry hunts for an application worksheet and more information on the hunts and the process. We are happy to report the addition of a new quality area in the South West Region. An additional opportunity in this area of the state has been needed for several years. The new Babcock Ranch MI hunt will come on-line this season and be offered on Oct. 22-24, 2010. ST. MARKS HUNT – Also different this year is the application process for the St. Marks MI hunt to be held on Dec. 11-13. This will now be a special opportunity hunt application process with FWC. 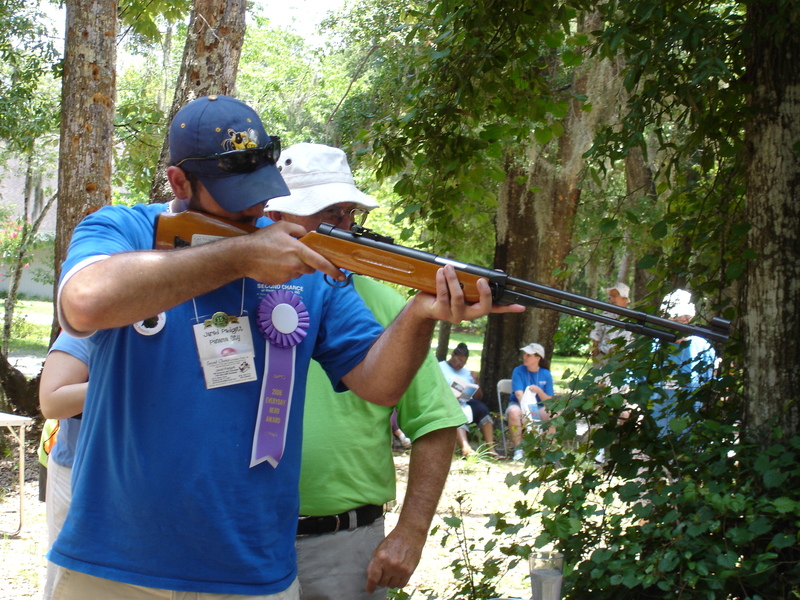 You may apply beginning on June 15th at the www.myfwc.com/hunting, limited entry hunts, special opportunity hunts. The cost is $5 to apply. There are no reported changes for the Eglin hunt. For an application, call 850-882-4165 and apply before the Jan.1 deadline. It is important to note that MI certified hunters can also apply for all of the same hunts as the general public.